Target date funds have been around for two decades now and they continue to evolve and find their place in more and more portfolios. The funds are typically inexpensive and give you a great amount of diversification while targeting an appropriate amount of risk to fit your financial timeline. When target date funds were introduced they were designed for 401k plans as an end-all-be-all investment for participants. Now these investments seem to make their way into most portfolios, across multiple accounts, and sometimes appear as a single investment in an entire portfolio. Target date funds are actually very versatile, becuase these funds follow a “glide path.” This basically means that, as the target date approaches, the funds’ allocation tends to glide down a path to a more conservative allocation. Since their introduction, target date funds have become more efficient, more affordable, and more diverse. Since the great recession, most target dates funds accelerated their downward glide path to a more conservative allocation. Pre-2008 equity exposure for close-to-retirement based funds have seen decreases in equity exposure from upward of 50% down to 35%. We have seen this trend of target date funds that are within 5 years of their target becoming much more conservative, with the exception of the Fidelity Freedom Funds, who have increased equity exposure from their previous norms. Brian and Bo love target date funds when starting out, because of the ease and sophistication that comes in one holding. At some point, though, when you start adding multiple accounts, larger amounts of money, and bigger tax implications, more advanced planning is advantageous. 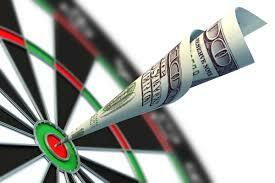 ConsumerReports did a great article on how to select the optimum target date fund for your situation. Most of the data in the show comes from Morningstar’s annual target date webinar and their 2014 Target Date Series Research Paper.